The Time Is Now | Goldberg & Rodler, Inc.
We’re already thinking about Memorial Day at Goldberg & Rodler. 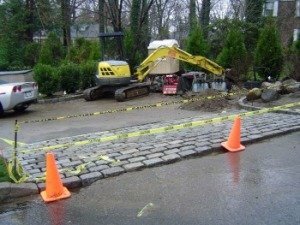 It’s a common deadline for landscape construction. 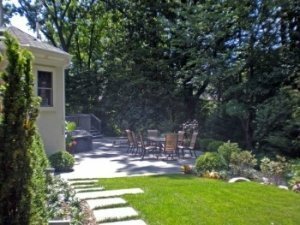 People want to have parties, family gatherings, use their outdoor spaces to the fullest when the sun is shining. Our office gets flooded with calls when spring rolls around, usually when the crocus and daffodil pop up. Nobody thinks about summer flowers and sitting out on their decks and patios or going swimming when there’s snow on the ground. 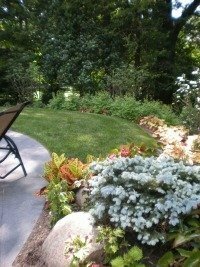 Get a head start with a landscape design in the fall or winter and you can break ground in the spring. Get a head start on construction and you can be having fun in the spring! If you’re building a new home or an addition, think about installing screen planting now. As long as the trees and/or shrubs aren’t in the way of the contractors the plants will have a whole season’s head start on growing. When your construction is complete the screen planting will be there to provide privacy to enjoy your new space. If you already have a plan and the ground hasn’t frozen yet, get a head start on the construction. If you have concrete work in your plans, start pouring before the winter sets in. 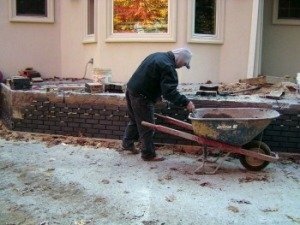 Concrete takes a long time to cure and getting a jump on it helps when spring comes and you’re ready to set the pavers or mortar a veneer. It also allows time for the sub-grade and/or backfill to settle. Fall is the time to start planning, planting and building. It gives you ample time to get necessary permits approved. If a permit is denied to either need to revise and resubmit or apply for a variance. Either way it is a long process. It never hurts to plan ahead! Once the weather warms up, you want to be out there enjoying your property, not watching from inside while it get’s ripped up and put back together.